If you’re based in Boston and surrounding areas, you want a Boston web design company who knows that area, the customers, the people and the business climate. Finding the right web designer in a sea of professionals claiming to be the best may seem daunting at first. However, doing your research before signing on the dotted line is key. 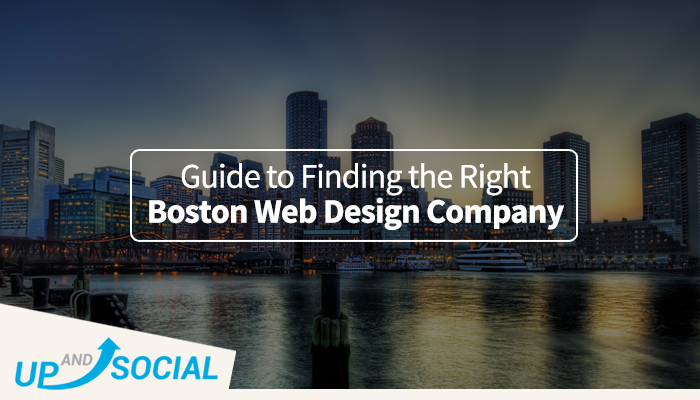 Let’s go through some tips on how to find the perfect fit with a Boston web design firm. This is a big one, and perhaps the most important. Without a solid reputation, a web design company is nothing. You won’t last very long in a competitive environment without good word-of-mouth recommendations from former and current clients. Actually, Forbes says this is the best component to measure when considering how to ensure a good match between client and web designer. When you get a recommendation from someone you know in the business, the designer has more incentive to do a stellar job because she knows she comes very highly recommended by a friend or colleague. Going hand in hand with reputation is experience. You need to back up the hype with actionable results. That’s why it’s important to ask to see your potential web designer’s portfolio, which is basically a collection of website designs he or she is responsible for creating. Do you actually like the sites they create? Small Business Trends says this is a major factor in whether you should choose a web designer or not. Web designers determine layout, graphics, text and navigation of your new web site, and they create graphics, colors and fonts. Website developers come in at that point to write the code that implements those items. Internet marketers help increase traffic to your site through practices like search engine marketing (SEM), search engine optimization (SEO) and social media management. That being said, not many professionals take such a singular approach, which is why you’ll often see companies that offer all three services in one. One-stop-shopping! Knowing every component of the agreement you’re about to take on, such as cost and timeline of the project, is imperative. Not only does this give you peace of mind knowing everything is in writing, it gives valuable planning insight for your web designer so he or she knows exactly what you’re looking for. In your basic research, you should whittle down your list to a few viable prospects. That’s when you should call each one and ask more pointed questions pertaining to your unique needs and budgetary requirements. Make sure you like their answers to your questions and that you feel comfortable with their approach. As the only Boston web design company that focuses on inbound marketing, you can rest assured you’re getting top-notch attention when it comes to search, lead conversion, nurturing, and marketing automation. With high-end web design at the forefront of our offerings, we love to help small businesses achieve success. Call us today to experience more conversions and increased return on investment.